Why get a facial anyway? You get your skin hydrated and cleared off nasty blemishes. This is also the first step to baby soft and glowing skin. You really can’t expect to do the short cut and get those grime seat underneath your skin, right? 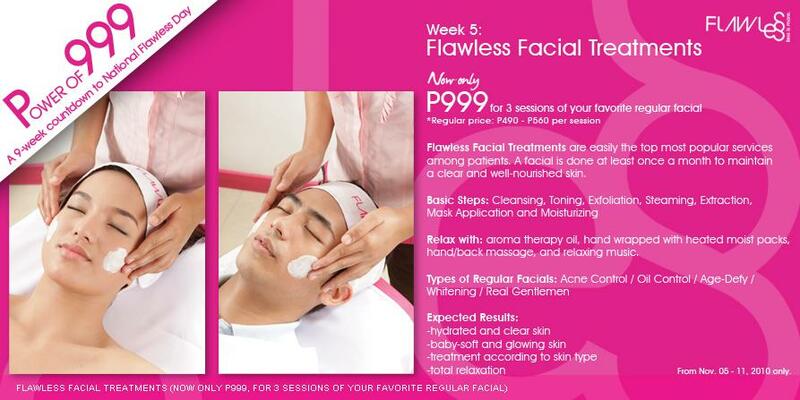 Flawless offers facials according to your skin type.